Aren't we (photographers) all suckers for pretty bikes parked on streets nowadays? oh yes, I agree. It's so hard to walk past a bike adorned with a basket. 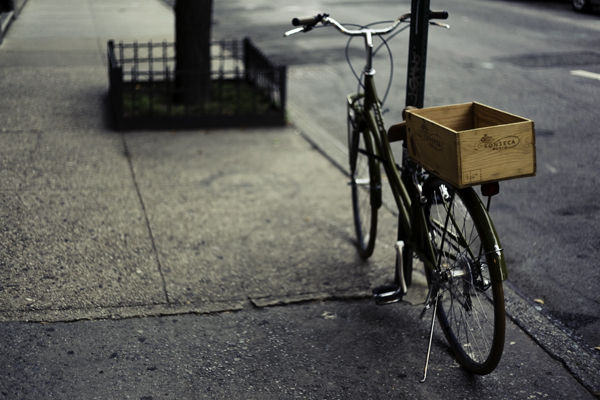 Thank you for sharing another lovely bike photo :) love it! You don't see many pretty bikes in country towns, though. For sure! This is a gorgeous shot, love the perspective here! Bikes are definitely on the scene these days! This one is so cute with its wooden crate - never seen that before.